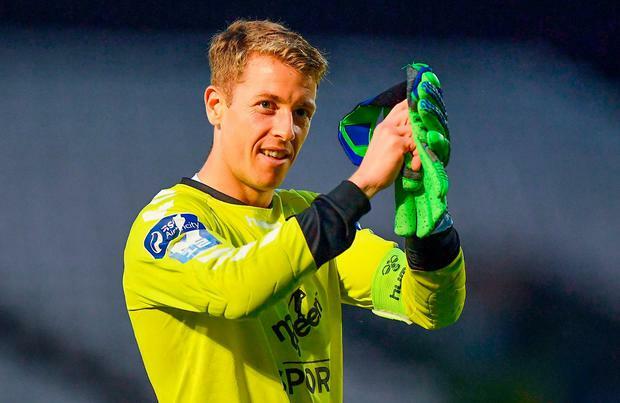 Bohemians received a devastating blow yesterday with the news that popular goalkeeper Shane Supple has been forced to retire from football aged 31 due to a persistent hip injury. The Dubliner's announcement took Bohs fans and the wider League of Ireland community by surprise given that he was voted into the PFAI Team of the Season off the back of his performances this year. Supple was even called into the Ireland senior squad for the summer internationals after impressing goalkeeping coach Seamus McDonagh. But he was struggling behind the scenes with a hip issue and revealed that consultations with medical professionals and close family led him to take a difficult decision. "I feel I can no longer play to the level needed and, more importantly, that I expect of myself," said Supple, in a lengthy statement released through Bohs. "I need to listen to my body and can no longer put it through the high level of physical demand required at this level of competition as a goalkeeper in the League of Ireland." Supple's international call was an extraordinary story given that he had taken the decision to step away from football in 2009 while he was part of Roy Keane's first team squad at Ipswich. He had grown disillusioned with the trade and came home to start a new life with GAA his primary sporting focus. Supple won a Dublin title with St Brigid's and graduated to the county panel where he was unable to dislodge Stephen Cluxton. Three years ago, he returned to football at amateur level with Crumlin United in a short-term arrangement that was essentially a favour related to the use of facilities for a goalkeeping coaching course he was running. But he duly caught the bug again and Bohemians came calling within a year. Supple became an integral part of Keith Long's dressing room and a firm favourite with fans. He enjoyed the high of their progression to the FAI Cup semi-finals this year and is still feeling the disappointment of the controversial defeat to Cork which cost them a trip to the Aviva. "I had envisaged playing long into my thirties and had intended doing that with Bohs - a club that has been so good to me and has given me the most enjoyable years of my playing career," said Supple, who praised Long's "integrity" and hailed assistant Trevor Croly as "the best coach on this island". Captain Derek Pender and defender Ian Morris - who has left Bohs to take over as Shelbourne manager - were described as leaders that were a "dying breed in the game". Addressing the Bohs fans, Supple said: "I will never forget the night of the replay down in Turner's Cross when you all sung 'The Auld Triangle' after the game as we warmed down, the hairs on the backs of our necks stood up. "We may not have won any trophy, but we were successful in creating a bond. Stick with Keith and this team because you won't get a more honest bunch." Ex-Sunderland 'keeper James Talbot has signed up with a view to replacing Supple. Meanwhile, Bohs could be facing up to another departure with promising Ireland U-19 international Andy Lyons on trial with Wolves.